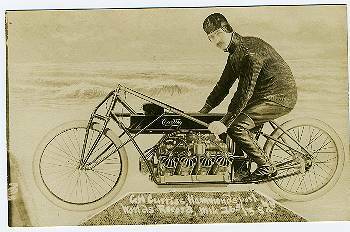 JACK177-G. Curtiss on his motorcycle after setting a world record. Rare photo and in great shape. CANCEL: Jun. 30, 1909. Very light registration. 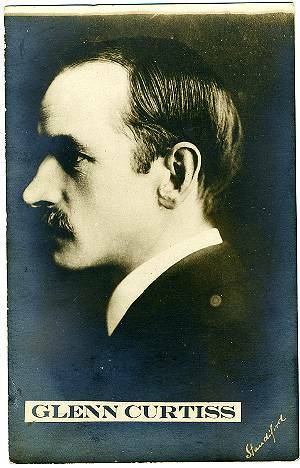 JACK178-Close-up of Glenn Curtiss. Photo done by Standford (sp? 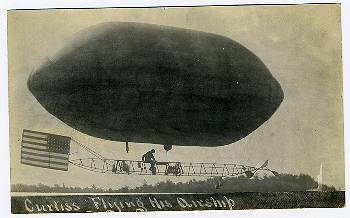 ), The Bailey Co. Photo Dept., Cleveland, Ohio. 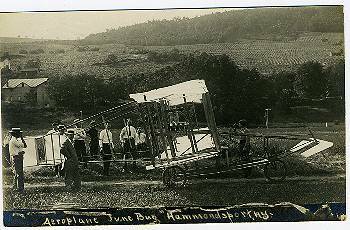 JACK180-Beautiful side view of "June Bug" at Hammondsport, NY. CANCEL: Nov. l4, 1908, Hammondsport, N.Y. Clear. 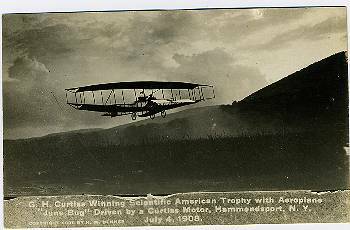 JACK181-Curtiss' "JuneBug" wins Scientific American Trophy, July 4, 1908. Image copyrighted by Benner of Hammondsport, NY. 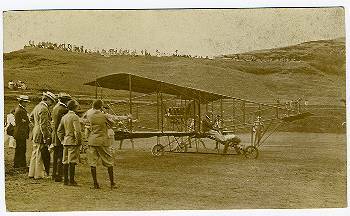 JACK182-Another Curtiss-Benner real photo. 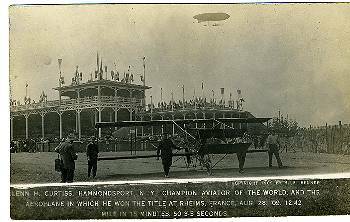 "He won a title in Rheims, France on Aug. 28, 1909." 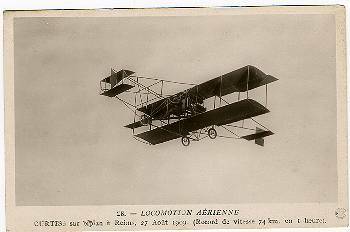 JACK183-Another photo of Curtiss in Reims, 27 Aug.,1909. A ROSE photograph. 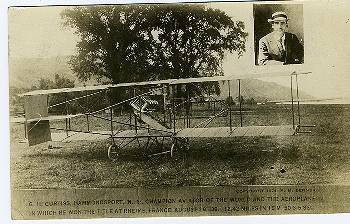 JACK184-Curtiss (insert) and his plane. 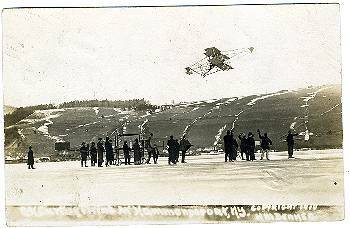 CANCEL: Hammondsport, April 14, 1910. Cancel unreadable over 3 letters at top. 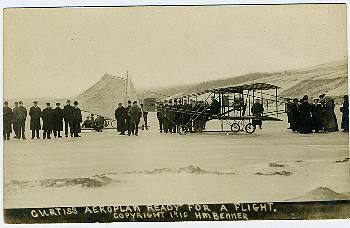 JACK186-Curtiss and a large group of observers. Photo by Benner. CANCEL: Indianapolis, IND, Aug 20, 1910. 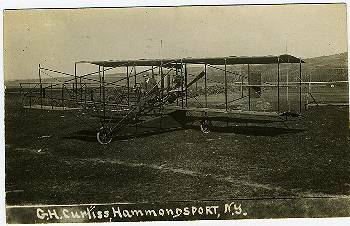 JACK187-Curtiss in Hammondsport. Photo by Benner. CANCEL: Hammondsport, Apr. 1st, but year is occluded by stamp. 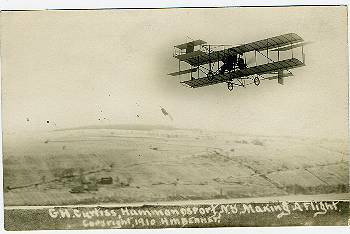 JACK188-Curtiss in Hammondsport. Benner photo 1910. 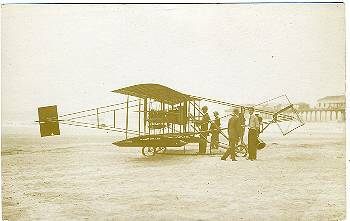 JACK189-Another photo of Curtiss. Unmarked and it looks like a different type of photo than Benner. Early, though, and may be cropped across top. CANCEL: Penn Yan, N. Y., Aug. 24, 1910. 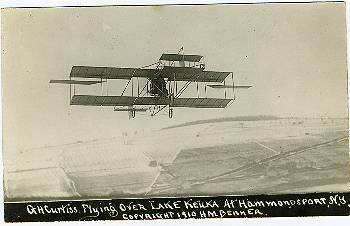 JACK191-Curtiss flying over Lake Keuka at Hammonsport. Copyright 1910 H M Benner.